The pictures in this post were taken at Dunkirk Harbor this past winter. 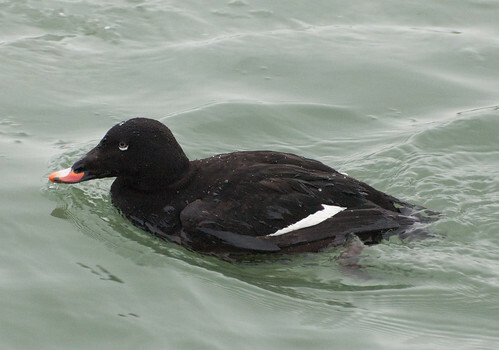 In our area, the white-winged scoter winters on Lakes Ontario and Erie. It is becoming a bit more common due to the invasion of the zebra mussels, as mussels (and clams) seem to be one of its favorite foods.